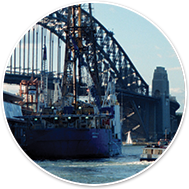 ANZIC invites proposals from member institutions to host the ANZIC Marine Geoscience Masterclass in 2019 and 2020, with the option of 2021, subject to funding. 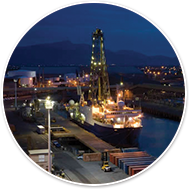 The ANZIC Marine Geoscience Masterclass was first offered in 2013 with the intention of introducing high achieving students to the specialist techniques and unique opportunities available in marine geoscience, through IODP. Budget: up to AUD $65,000 including students’ travel and accommodation costs. Proposed date: the first week of December has proven to be a good option, however, it is not a requirement. Duration The Masterclasses presented so far have varied from five to eight days. Five full days would be expected. 20 in total, One from each member university, three from ANU and two from Macquarie in line with their larger financial contributions. Participants are selected by their institution. We ask that participants be committed students achieving high grades, who agree to participate actively in the event. Cost to students is limited to passports/visas, minor expenses in transit and provision of personal equipment ie suitable footwear and clothing.